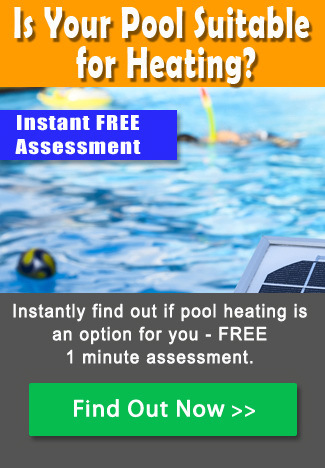 How Much Warmer Will Solar Heating Make my Pool? 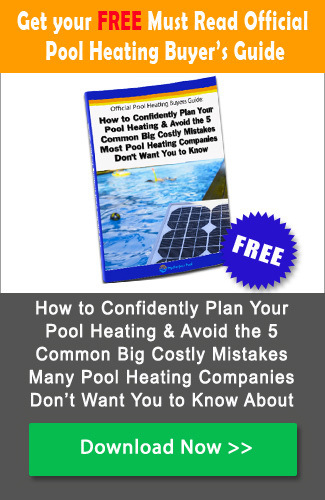 You are at:Home»Pool Heating»How Much Warmer Will Solar Heating Make my Pool? How much warmer will solar heating make my pool? The answer is, it depends. But on what? Read on. The quick answer is, for a standard 32 m2 pool, between around 2.5ᵒ and 5.5ᵒ C per day depending on where you live. It’ll be near the bottom end of the range if you live in Melbourne, and at the higher end if you live in Darwin. That’s because, in tropical locations, solar pool heater collectors are capable of yielding around 8kwh per square meter per day. 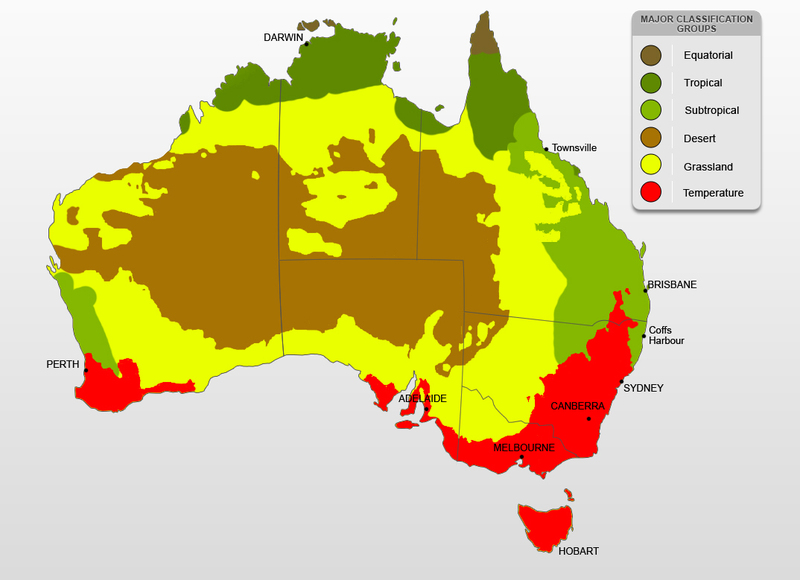 In more temperate locations (like Sydney), however, the figure falls to nearer 4 kwh per day. The longer answer, however, is it depends on a number of different things. Obviously, two of the most obvious factors are climate and geography; solar heating needs sunshine – and the more of it the better. But there are a whole range of other factors. And the most important among these is the daily rate at which your pool loses heat. 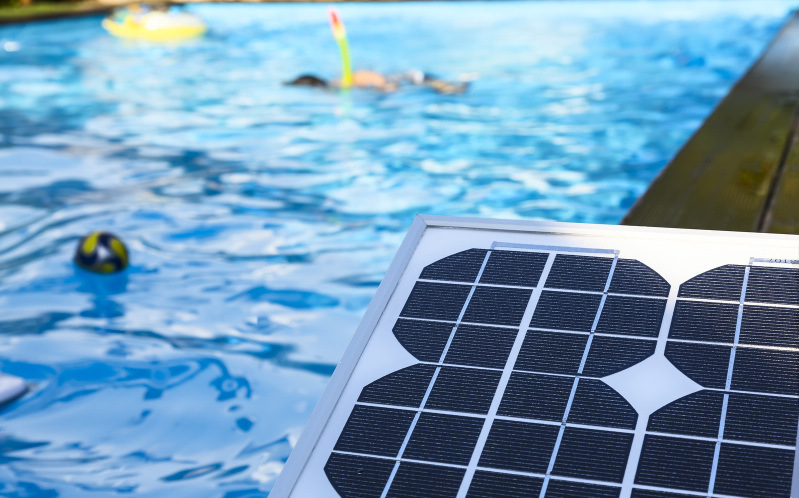 Solar heating might be capable of warming your pool by 2.5ᵒ and 5.5ᵒ C per day, but you’re only going to notice the difference if your pool isn’t losing heat at the same time. Through evaporation alone, an uncovered 32 m2 pool in summer will lose heat at a rate of around 1.2ᵒ C or more per day. Additionally, in spring and autumn, the cooler nighttime temperatures cool the pool’s surface water. The net effect is that, especially in more temperate locations, your pool water temperature may only be benefiting from around half of the actual warmth that is being delivered by your solar heating system. That’s why a pool cover is so important. It’s all very well to heat the pool, but it’s equally important to retain the heat. On a daily basis, a good pool cover will retain at least 75% of you pool’s heat loss. Prime among these are the size of your solar collector area – if it’s not big enough, it’s going to underperform. Equally, it’s going to underperform if it’s facing in the wrong, or at least less than ideal, direction. If the solar collector is mounted on the roof of your house, the roof construction material and color will have an effect. Likewise, is the solar collector affected by shade, and is your pool located in a particularly windy area? Solar Collector Area In general, the solar collector area should be at least equal to 80%, and more typically at least 100%, of the area of your pool. Solar Collector Orientation The optimum orientation is north, since north facing roofs receive the most amount of direct sunlight. Having said that, even if your collector is oriented up to 45ᵒ east or west of true north, you should not experience a significant reduction in performance. The next most efficient orientations are either west facing roofs or flat roofs. Solar Collector Pitch In an ideal world, solar collectors should be pitched (i.e. tilted) at an angle roughly equal to your geographical latitude plus 10-15ᵒ. This is, however, not essential. And, of course, if you’re putting them on your roof, you’re going to be limited by the existing pitch of the roof. Roof Construction Metal roofs conduct heat more efficiently than tile roofs. Fibro roofs are also good. Slate roofs are not particularly solar-friendly. Dark coloured roofs conduct heat more efficiently than light coloured roofs. Solar Collector Color Solar collectors come in a variety of colors. Black is the most efficient. However, if you’ve got a light coloured roof and want your collector to match or compliment its colour, you may need to increase the m2 of the collectors. Shading Obviously, direct shading over the collectors will affect their performance. Additionally, if your pool is shaded, then the water temperature will be lower and additional collectors may be needed to counterbalance. Winds Pools located in windy areas loose heat more rapidly than those in still areas. If your pool is in a naturally windy location, you may need extra collectors. Pool Covers Using a pool cover in conjunction with solar heating the water will significantly increase the water temperature – and it will mean you’ll be able to swim earlier in the day. How Long Will it Take for Solar Heating to Heat My Pool to a Swimmable Temperature? Well, presuming your solar collector area is 100% that of your pool, and is oriented in the right direction, not bothered by shade etc., it depends on the temperature of your pool at the start of the season. And that depends on where you live – and whether your pool has a cover. 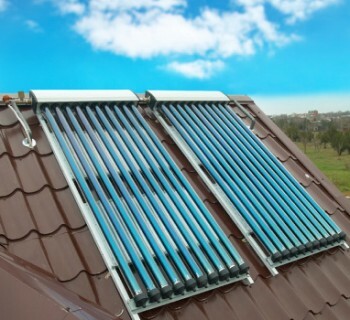 How Much Does Solar Pool Heating Cost to Install and Run?